Looking for a gift for someone who is about to do something big? This is it! Give them a sterling silver necklace with a powerful inscription. 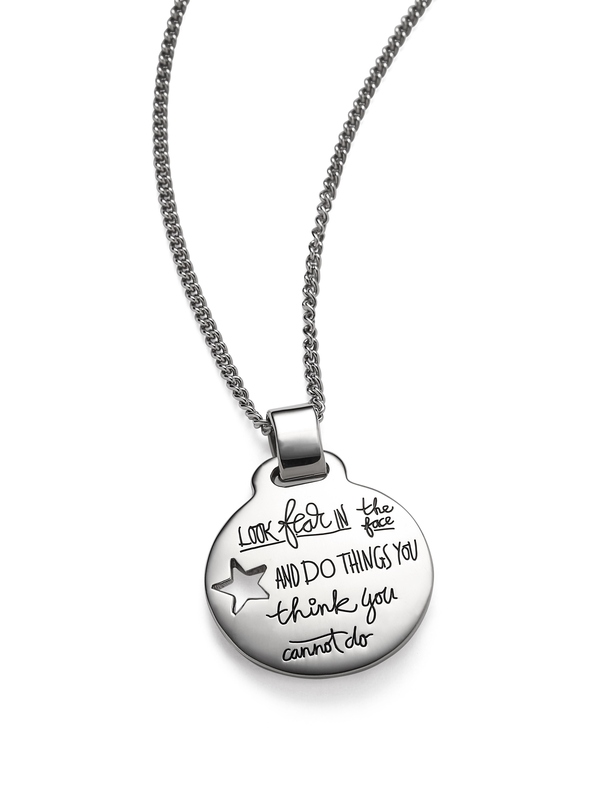 This hand-polished design reflects that spirit of courage and encourages anyone who wears it to fight for their dreams.